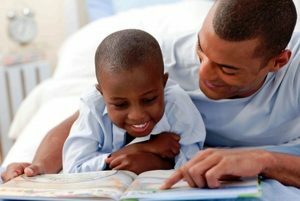 This is a story that crosses vast oceans and glaringly different cultures to warm the hearts of American readers. 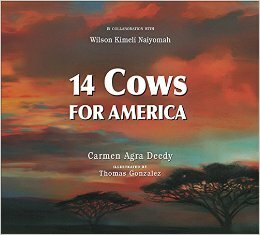 14 Cows for America, by Carmen Agra Deedy, is a beautiful story of comfort and healing during America’s darkest hour. It is the story of Kimeli Naiyomah of the Maasai people of Kenya, who witnessed the terrorist attacks on the World Trade Center while studying medicine in America. Unable to forget what he had seen, Kimeli carried the sorrow of that tragic day back to his village the following year. His people, the fierce but compassionate Maasai, were moved by the tragedy, and hurried to show kindness to heartbroken America. 14 Cows is an unforgettable book. 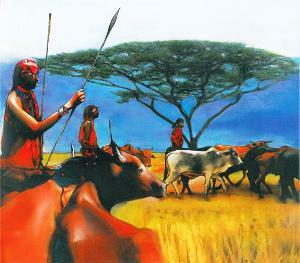 Award-winning illustrator Thomas Gonzalez uses earth-colors of brown and red to animate his life-like drawings and make readers feel they have landed right in the middle of Kimeli’s Kenyan village. Each illustration is breathtaking in its own right, from the achingly beautiful African landscapes to the soft close-ups of the shimmering brown eyes of the compassionate Maasai people.